Our children are amazing and we genuinely feel privileged to be given the opportunity to cook with them. In the beginning, they may ask for a little help and guidance, but through the term, it is incredible to see their confidence grow, along with their independence. 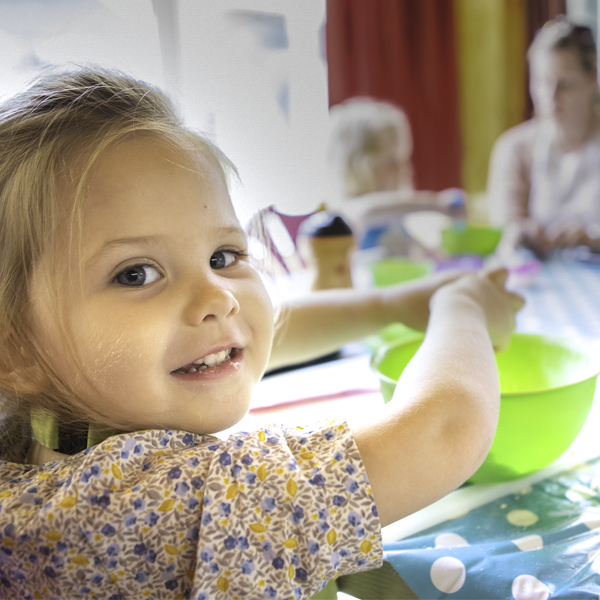 We often hear them say: “Mummy, it is MY cooking class”, which always makes us smile. It is a delight to see their food knowledge flourish and be revealed, when they are able to recognise a wide variety of fruits and vegetables and understand how they grow. The children learn so much whilst cooking and having fun. They learn new skills with each class; whether they are cutting ingredients with their safety knife or counting biscuits they have made. Their little faces beam with joy and pride the first time they crack an egg or complete a whole recipe, all by themselves. 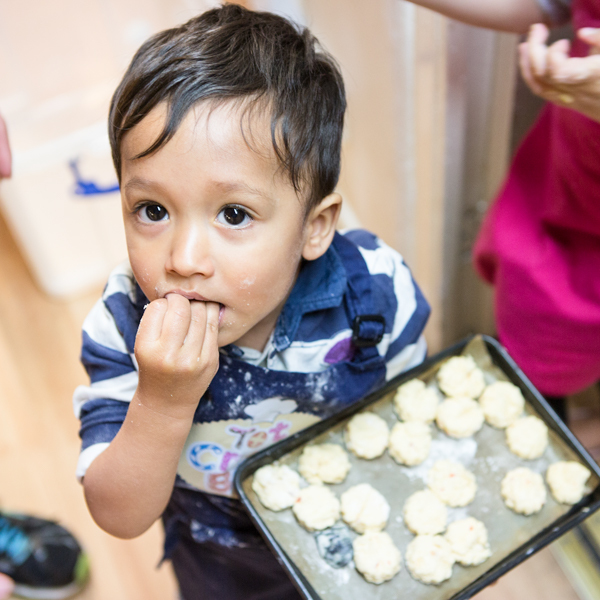 Our children learn about new foods and explore tastes and textures. Cooking a simple recipe will help the children with their fine motor skills and we build strong muscles too with all of our stirring! The children learn all about safety with knives and learn when they are able to touch . It is wonderful to see the children using their sharing skills and being very patient whilst waiting for their turn or for their bakes to cook. Before we know it, we have confident and independent mini bakers who follow instructions beautifully, all done with fun and lots of giggles. We like to explore foods and new tastes when we bake. We will talk about our ingredients with the children and where they come from. 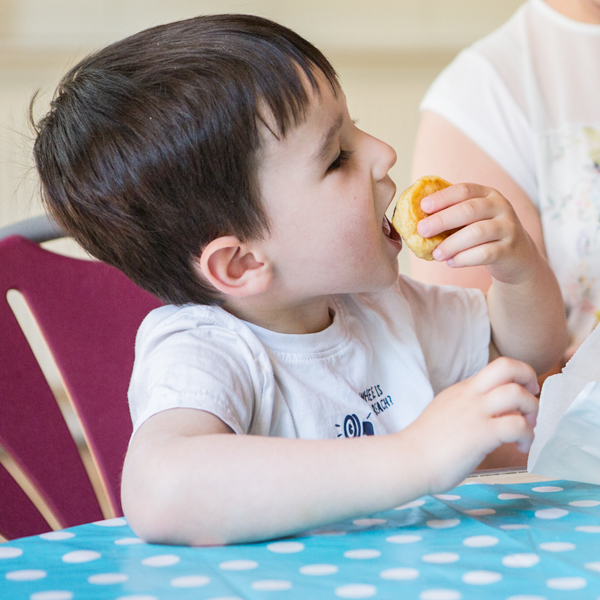 Our children are encouraged to try new foods and we celebrate success when trying new tastes. Our classes are fun and relaxed with no pressure for either the children or their grown-ups. It is important to us that everyone who comes along to Tot Cross Buns feels relaxed and comfortable. Our courses are booked in advance and run in-line with the school terms. They are generally 5 to 7 weeks per half term. We bake both sweet and savoury dishes, which are tasty and healthy – we do sneak in some treats too! We operate a strict ‘no nuts’ policy that we ask all parents to observe and will always find a way to take account of any allergies that the children have so that nobody misses out. Watch out for our ‘Saturday Kitchens’ and other special events too. Children from aged 2 and above (including school-age children) are welcome. It is baking fun for everyone! 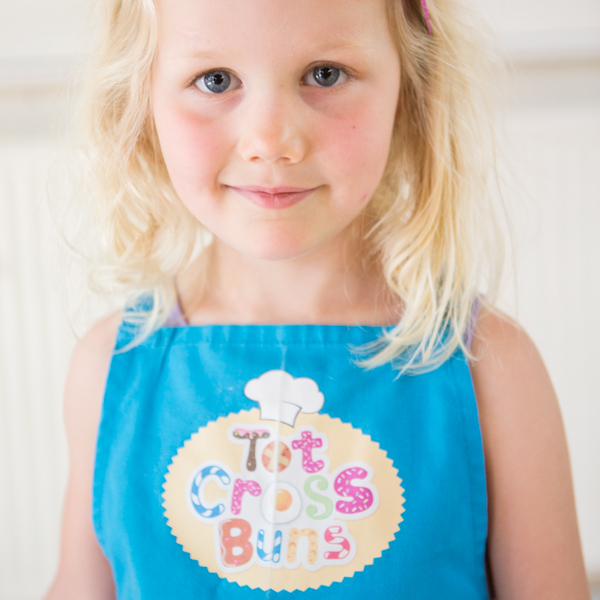 Contact Allison on 07799 658 999 to discuss your Tot Cross Buns party requirements.